In Deutschland sind nur 99 Stück dieser Remix-Maxi im Umlauf! Standout tracks from Parquet Courts' latest album Wide Awake! get the dancefloor treatment in a collection of remixes available on 12" vinyl out September 28. The A-side features a re-work of the danceable title track by legendary first wave NYC disco pioneer Danny Krivit, who has delivered classic vinyl re-edits of tunes from Visage, James Brown, Giorgio Moroder, Kraftwerk, and many more. 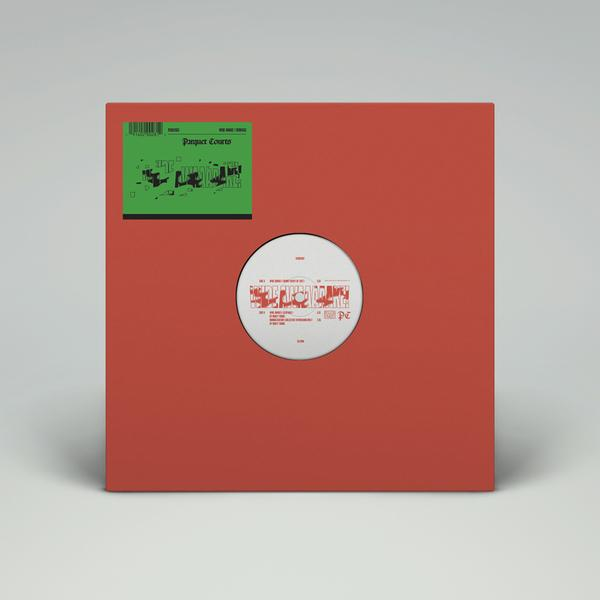 The B-side features remixes of two tracks by prolific Australian producer and engineer Mikey Young, known for his work in Total Control and Eddy Current Suppression Ring. "Mikey has always impressed me as a musician and person," says Parquet Courts? A. Savage, "but he's developed a remarkable talent for producing electronic music, as evidenced by projects like Lace Curtain and Total Control. He has a skill of impressing his genius and personality into a track and elevating it to something more." Parquet Courts - Mardi Gras (RSD18) 7"